In this article, we will put the Cold Steel Mini AK-47 knife under the microscope. 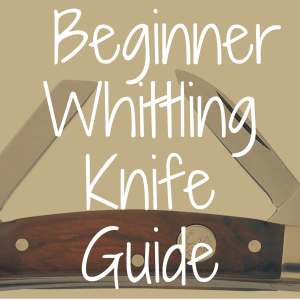 We’ll examine the knife’s blade, steel, handle, and overall effectiveness and comfort both in the pocket and in-hand. We’ll also compare the Mini AK-47 to the Mini Recon 1. The current AK-47 line was released in 2010. A redesign of an existing model, they incorporated a few changes, including the Andrew Demko-designed Tri-Ad lock, but retained the aggressive lines, utilitarian blade shape, and pronounced pommel of the original. Cold Steel will not continue to produce the models with AUS-8 steel in forthcoming years, but they are still widely available. We come immediately to the Mini AK-47’s fatal flaw. The ergonomics on this knife are terrible. Shrinking a regular or larged sized knife down to mini-size doesn’t always work as you would hope, and this appears to be the case with the AK-47. The full-size AK-47’s unique handle shape is part of the appeal. It is large enough to use in a serviceable hammer grip, but you can move your hand further back into a pistol grip to facilitate better slashing swings. 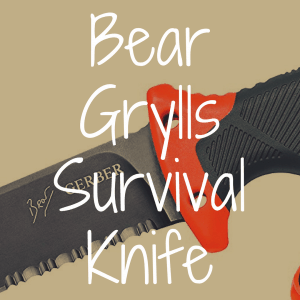 In a large pocket knife specifically designed for self-defense, you can see the advantages of such a handle. However, nobody should use the Mini AK-47 in a martial role; with a sub-3” blade, it is laughably unsuited to the task. And yet the handle design remains the same. 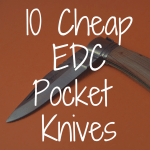 Moreover, because it is smaller, you basically have to use the knife in the pistol grip, with which you lose so much control over your blade, control that you want during the sort of cutting tasks an EDC utility pocket knife is best for. In a way, this is an argument for uncomplicated handle shapes. The Mini Recon 1, the scaled-down version of that popular tactical blade, works shrunken down because the handle was simple to begin with. Granted, the handle shape is part of what makes the Mini AK-47 special, but it needed some kind of modification to work in this smaller iteration, because right now it simply doesn’t. It’s not even that Cold Steel can’t do good, small knife handles: the Mini Tuff Lite has a phenomenal handle design, and is smaller than the Mini AK-47. The Mini AK 47, however, was simply a miss rather a surefire hit in this area. Less of an unmitigated disaster is the blade shape. This is a modified drop point, and it is a good shape for EDC tasks while managing to retain the trademark Cold Steel aggressive aesthetic that many folks like. Where it is less successful is with the grind. The issue isn’t necessarily with the thickness of the blade stock, but rather the amount of material removed on the primary grind down to the cutting bevel. 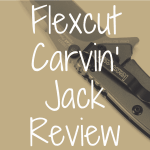 On the model under review, it is a little thick for a knife this size, and while the Mini AK-47 isn’t a terrible slicer, it performs significantly worse at slicing tasks than the Mini Tuff Lite, which has a very thin, very keen grind. In fact, the larger Mini Recon 1, in the spear point configuration, slices better too. The full-sized AK-47 slices worse, but that’s to be expected given the nature of its design. Against its EDC peers, the Mini AK-47 doesn’t hold up. AUS-8, the standard Cold Steel steel for many years, is adequate if not interesting. It can get sharp, it holds an edge for a reasonable time, and sharpens readily. The steel does does rust or tarnish easily, however. 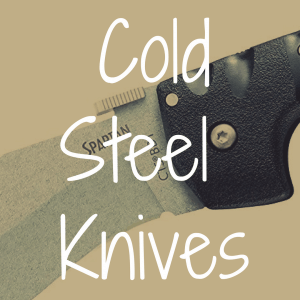 Cold Steel counteracts this characteristic by coating the blade with Tuff-Ex, a notoriously poor blade coating that, despite the trademarked name, appears to just be black paint. It’s pretty terrible and flakes off like crazy. The 2015 Mini AK-47 features a much better steel, CTS-XHP, and a DLC coating, a vast improvement over the chintzy Tuff-Ex paint. The Mini Recon 1 and full size AK 47 are both available with these changes too. The Mini Tuff Lite is still only available in AUS-8, and from the looks of it that isn’t going to change. Despite the difference in steel, I still think it’s a better EDC, but if you decide that you want a Mini AK-47, it is worth paying a slight premium to get these upgrades. The Mini AK-47 is compact, and the curved clip, while it will never be my favorite, is adequate. The issue, however, are the G10 handle scales. Cold Steel uses ridiculously abrasive G10 on their knives. They take pride in this and, while it is undoubtedly grippy, it absolutely destroys the lining of one’s pocket, in my opinion. The scales make extraction a chore, too, which directly affects another aspect of the knife: the Wave deployment. The thumb ramp of the Mini AK-47 is designed to catch the corner of your pocket when you are taking it out, thus deploying the blade automatically. But because you are always fighting against the G10, you rarely get a smooth enough draw to get the thumb ramp to do its job. Like I said, this G10 is the Cold Steel standard: the full size AK-47 has it, as does the Mini Recon 1. The Mini Tuff Lite, however, is made of adequately grippy, but not pants-shreddingly textured FRN, and it has a better, straight clip. No competition. The lock on the Mini AK-47 is another Cold Steel standard, but this time a welcome one: the Tri-Ad lock. Basically a fortified lockback, the Tri-Ad lock can withstand ridiculous amounts of abuse without weakening. Other locks can’t really compare, although it is also true that the punishment the Tri-Ad lock can withstand is so far beyond what you would ever reasonably expect to happen to your knife that its toughness is, to a degree, superfluous. But because it is simple, durable, and lightweight, the Tri-Ad lock is a favorite of mine. This is the brand standard lock, so it’s on the Mini Recon 1, full-sized AK-47, and even the diminutive Mini Tuff Lite. It is a great lock. The Mini AK-47 is strange product. Shrinking the AK-47 compromises all the things that make it a good knife. The Mini AK-47 isn’t terrible at any one thing, but because it doesn’t do anything well either, it is difficult to recommend. Cold Steel makes a lot of good knives, and they even make one good EDC knife (the Mini Tuff Lite). If you’re in the market for one of their blades, you might be better off focusing your attention on the Mini Tuff. Please bookmark Reliable Knife for more helpful reviews of pocket knives. 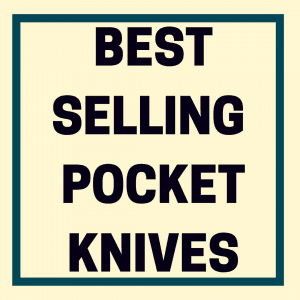 What’s the Best Pocket Knives on the Market? 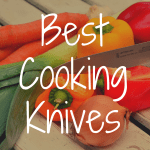 What Are the Best Cooking Knives?